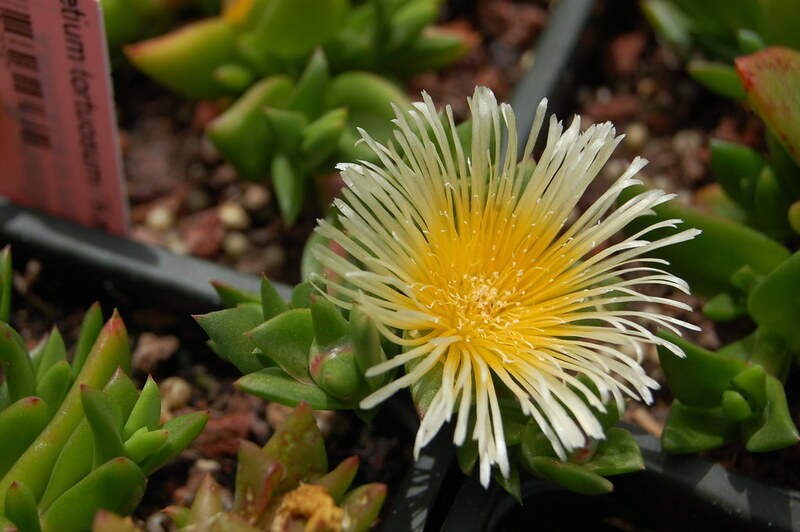 Although the name can make one think about a new strain of cannabis, kanna (Sceletium tortuosum) is a vastly different herb. It comes from South Africa and is used by the local Khoikhoi and San tribes for relaxation, stimulation and prosocial effects. In South Africa, these tribes enjoy this herb by itself or as part of a smoking blend made of dagga (Cannabis sativa), wild dagga (Leonotis leonorus) and other herbs. Most South African tribesmen prefer to chew and smoke the fermented kanna. However, if you do not like chewing, snorting or smoking, you can also vape kanna for a more convenient experience. To find out how, read this handy vaporizing guide. Azarius offers the UB40 kanna extract specifically for vaporization. The other kanna products are better suited as a tea or snuff but can be vaporized like pro with this nifty trick. The kanna powder and the UC, UC2 and ET2 have a very fine consistency. To avoid clogging up your vaporizer, you can sandwich the powder in between other herbs. An even safer possibility is to sandwich it between degummed hemp fibre in a concentrate tray or concentrate pod, like this Boundless version. Bonus points: your tray or pod gets dirty while the chamber of your vaporizer, that is much harder to clean, remains as good as new. The UB40 extract can be used to get a strong effect with fast onset and less plant matter is needed than with vaping kanna powder. The consistency of this extract is coarser than the kanna powder which is why it has the perfect consistency for vaporizing. You need about 100 to 250 mg of kanna powder for a moderate to strong effect. You need a lot less material while vaping the UB40 extract since it is significantly stronger than the powder. For a light effect, use about 25 mg of the UB40 kanna extract and for a moderate to strong effect 40 – 60 mg. The vaporization temperature of kanna is 188 degrees Celsius, which is similar to the vaporization temperature of cannabis. This means that most commercial vaporizers like the Crafty, CFX and Volcano can vape the kanna UB40 extract. Kanna is a selective serotonin reuptake inhibitor (SSRI) which means it temporarily prevents the breakdown of serotonin. Users of kanna typically experience stimulation, relaxation and euphoria. Many also say that they feel conversations flow easier because they experience more empathy. If kanna is vaporized, the effects are usually more calming, a bit trippier and less euphoric when compared to snorting or oral/sublingual use of Kanna. The strength of the effects can be easily controlled with a vaporizer by loading small amounts and taking small drags for a light effect, and loading a bigger amount or extracts and taking longer drags. Kanna is stimulating in low to moderate doses and relaxing when you use higher doses. A side-effect is that most kanna users aren’t feeling hungry for several hours. Doses that are too high can lead to dizziness, nausea, headaches and anxiety. Combining kanna with other herbs is common among South African natives and leads to a synergy of effects. Kanna and cannabis not only sound alike but also share a similar vaping temperature. That’s why this iconic duo can be vaped together. Traditionally, they are often smoked together and provide a synergistic and more psychedelic experience than when used apart. Kanna synergizes with vaping yerba maté for a stimulating effect or with herbs like blue lotus (Nymphaea caerulaea) and chamomile for a more sedating effect. Other herbs that combine well with kanna are wild dagga (Leonotis leonorus) and ginseng. Active ingredients of kanna are mesembrine and other alkaloids which act on the serotonin receptors. That’s why medications like SSRIs should be avoided in combination with kanna, as it could lead to a fatal serotonin syndrome. Kanna also shouldn’t be combined with MAOIs such as ayahuasca vine (Banisteriopsis caapi) or Syrian rue (Peganum harmala) and with other SRI/SSRIs. No withdrawal symptoms have been confirmed with long-term use. Some people are taking small doses several days in a row to get used to the effects. This is called ‘priming’. Like most herbs it is best used in moderation to avoid tolerance and habituation. Stay balanced and inspired. Thank you for reading! Get your kanna UB40 here. Figure 1 and figure 2.